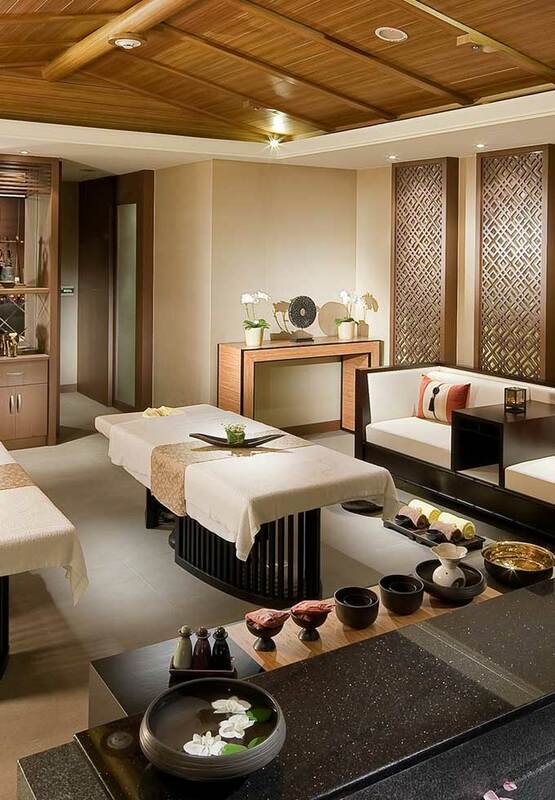 Unveils the secrets of balance between body, mind and soul; Moon Spa combines the unique healing approach and technique, merges the perfect methods of the East and the West to offer the original care and dedicated attention. Within the tranquil environment and the services from the best aroma therapists, the customized service, the premium natural products and the relaxing therapy offer the soul and mind shelter, which also makes one feel as if time had gone back several decades. Bathing, cleansing, nourishing and relaxing allow the stress and worries to gradually vanish throughout the massaging process, and let you soak in the world of happiness. These sensations are filled with vitality, the muscles are completely relaxed, and hence the body is relieved. The following therapies may be offered at MOON SPA and in VIP rooms; please contact MOON SPA personnel an hour in advance to make reservation for you. Aromatherapy rooms – Spring Breeze, Summer Tea, Autumn Sweet Osmanthus, Winter Plum, Floral Garden; features steam bath and natural hot spring pool.